Everyone has likely played the game Monopoly. The object is to acquire properties, collect mounting rents from players who land on your properties, thus building compounding wealth. 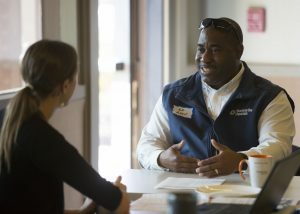 By applying those rules to the concepts of inclusion and equity at a Center for Nonprofit Excellence workshop, panelist Ed Allen, Diversity & Inclusion Internship Program Manager at the Monterey Bay Aquarium, presented a novel way to better understand inclusion and equity. Imagine joining a game of Monopoly, but the other players have already started and have already acquired property and wealth. “How is that a fair chance to play?” he asked. “Privilege and unconscious bias are real in the workplace. 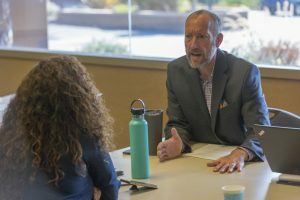 Whether we acknowledge them and create equitable policies is the next step for our organizational leadership,” said Allen, citing the example of an unpaid internship program that puts low earning students at a disadvantage because they cannot afford to work unpaid. Avenues to incorporate equity in nonprofits start with education about disparity, mobilizing emerging leaders and youth, and having buy-in from leadership. 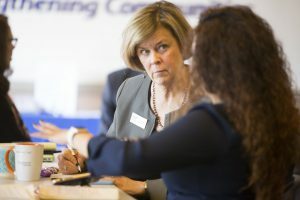 “You have to lay the groundwork to get the cooperation you need,” said panelist Susie Brusa, Rancho Cielo Chief Executive Officer, who launched a racial equity initiative with a two-day retreat for board members and a parallel process for staff. In determining where to start, Allen advised to start with diversity, ensuring that a critical mass of people of different backgrounds and perspectives have a voice in your organization. Build a feedback loop with employees and take suggestions. “It’s not always an easy process to get people to engage. But you first need to get people in the room – invite them to the party. Which will lead to inclusion, or what I like to think of as joining in the dance,” he illustrated. In order to build a more equitable program design, ACTION Council put families in the center of that process. Larry Imwalle’s role as Executive Director of the Action Council of Monterey County, he said, is to foster and support the “change makers” in the organization. “My role as a leader is to share power in my organization and that will extend to my community,” he said. The panel, co-sponsored by the Nonprofit Alliance for Monterey County’s Diversity and Social Equity Committee, also acknowledged challenges. 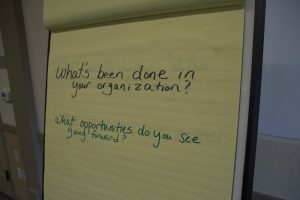 Many in the room mentioned the need to find creative ways to have these conversations in their organizations. Equity work requires time and resources. Taking a healing informed approach to addressing inequity can help an organization deliver on its mission. Board Source: Where is Race on Your Board’s Recruitment Agenda? Diversity includes all the ways in which people differ, encompassing the different characteristics that make one individual or group different from another. While diversity is often used in reference to race, ethnicity, and gender, we embrace a broader definition of diversity that also includes age, national origin, religion, disability, sexual orientation, socioeconomic status, education, marital status, language and physical appearance. Can also include diversity of thought, ideas, perspective and values. 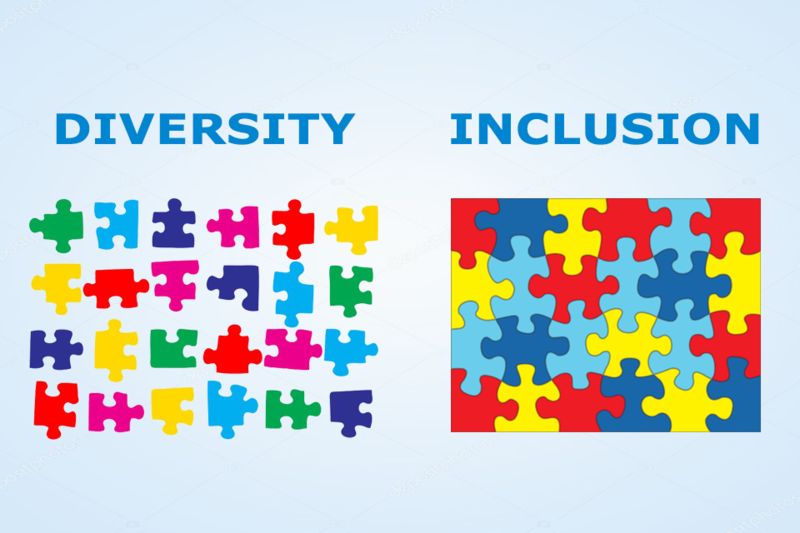 Inclusion is the act of creating environments in which any individual or group can be and feel welcomed, respected, supported and valued to fully participate. An inclusive and welcoming climate embraces differences and offers respect in words and actions for all people, it’s important to note that while an inclusive group is by definition of unconscious or “implicit” bias helps organizations to be deliberate about addressing issues of inclusivity. Photos/David Royal: Top Ed Allen, Diversity & Inclusion, Internship Program Manager at Monterey Bay Aquarium; Susie Brusa, Chief Executive Officer, Rancho Cielo; Larry Imwalle, is Executive Director of ACTION Council, a nonprofit organization that serves as a social equity incubator for emerging projects and change-makers in the Monterey Bay region. 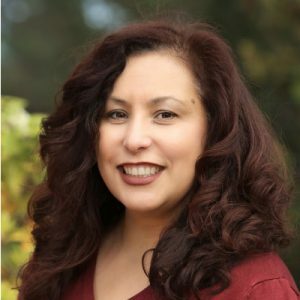 Cristina Medina Dirksen is the Communications Coordinator at the Community Foundation for Monterey County, where she oversees social media, website support, blogs and content creation and development for CFMC publications. She can be reach at (831) 884-5710.